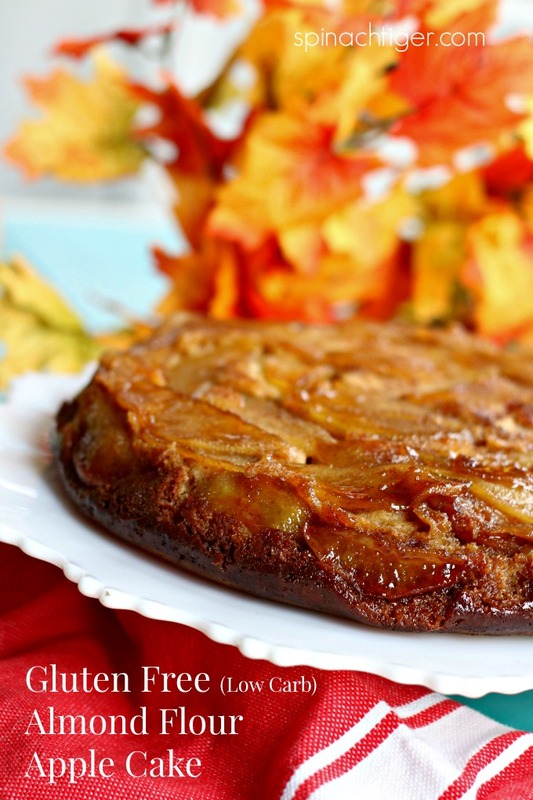 I put this low carb apple upside down cake on instagram a few days ago. It was such a visual hit that people began begging me for the recipe. I had to bake a few to make sure expectations were met. I had a few validations along the way. 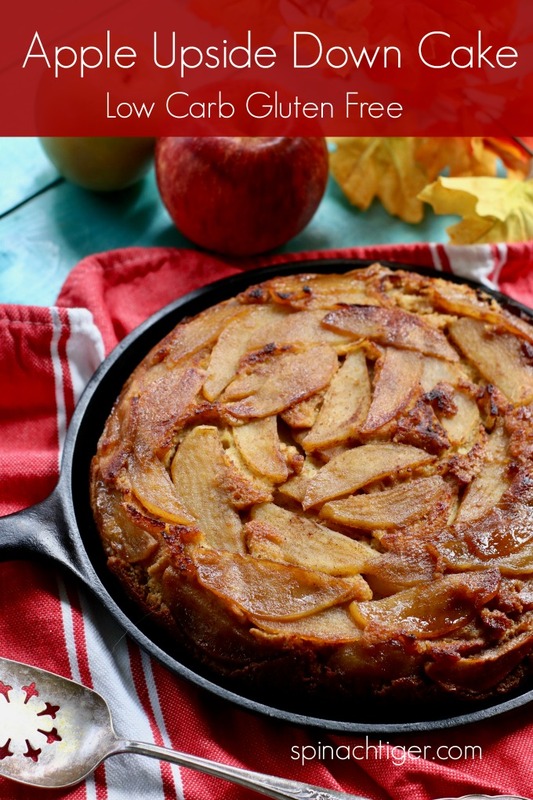 A friend was thrilled when I served her this apple upside down cake at lunch. She couldn’t believe it was low-carb. Retro Rose gave a piece to her friend and she asked me to bake him a cake because he loved it so much. He is not on a low carb diet or any diet. That is always the best test of an alternative flour cake. I probably ate a little too much of this one, because it was just that good. 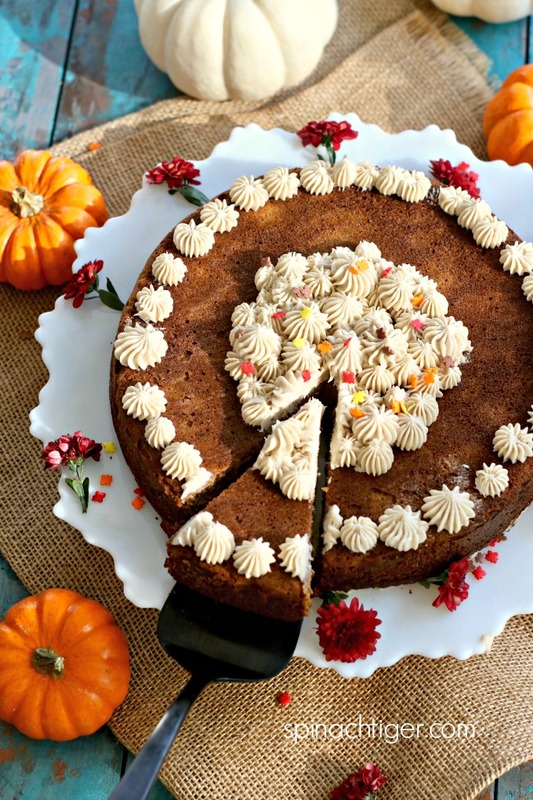 In developing this recipe, I referred back to my pumpkin cake post. I loved the texture of that cake which had a cup of pumpkin. I had to find something to replace the pumpkin for moisture and sour cream was my answer. If you know me, you know that I will test and retest alternative flour recipes, especially those I believe to be timeless. This incredible mediterranean olive oil orange cake (made with real oranges) took six tries until I was happy. 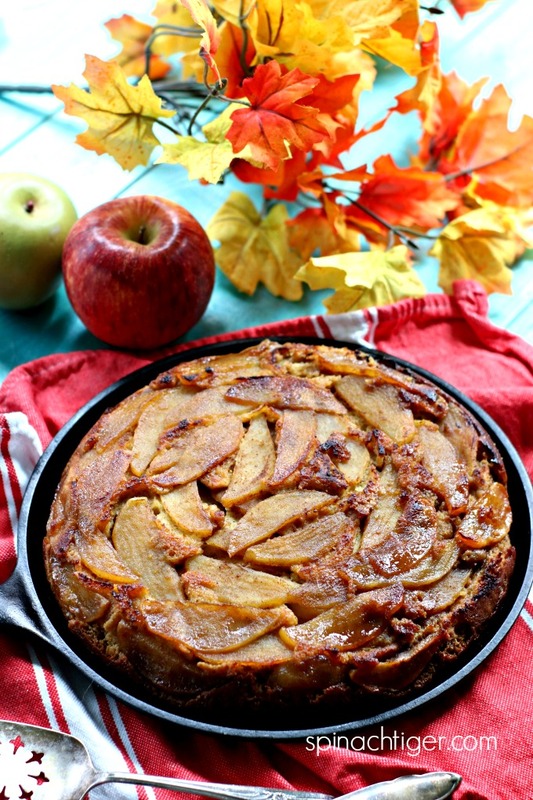 I did three test bakes on this low carb apple cake to get the texture right. Every step I take in the kitchen has my readers in mind. I put myself in your shoes, and I want to make sure you can duplicate this at home. This is also why I focus on basic recipes rather than super fancy cakes. Once you get the basics, you can create anything! If you are successful with this yellow cake recipe, you will be able to make many variations. You could use pears in this recipe, or use the basic batter for a blueberry cake. I have come to the point that I love baking with almond flour more than any other flour because thirty cakes later, I think I’ve gained a little expertise. However, I’ll keep learning more tricks and sharing with you. This cake is made with almond four and sweetened with swerve. If you’re unfamiliar with Swerve, it’s a powdered erythritol, that has a net 0 carb count. You can use it with a one to one ratio. I also add a very small amount of Stevia glycerite, which balances out the sweetness. I used two large envy apples, peeling and slicing them thin. I used Swerve’s brown sugar mixed with butter to get the sauce that goes into the cake pan first, followed by the apples, followed by the batter. The cake itself does not contain apples within the batter. The apples are placed in the bottom and will serve as the topping once you turn the cake over. I prefer this. The flavor of the cake is boosted by the ground cardamom. If you don’t have that, you can use a teaspoon of vanilla and dash of freshly ground nutmeg. The tricky part is making the brown sugar glaze that goes in first. 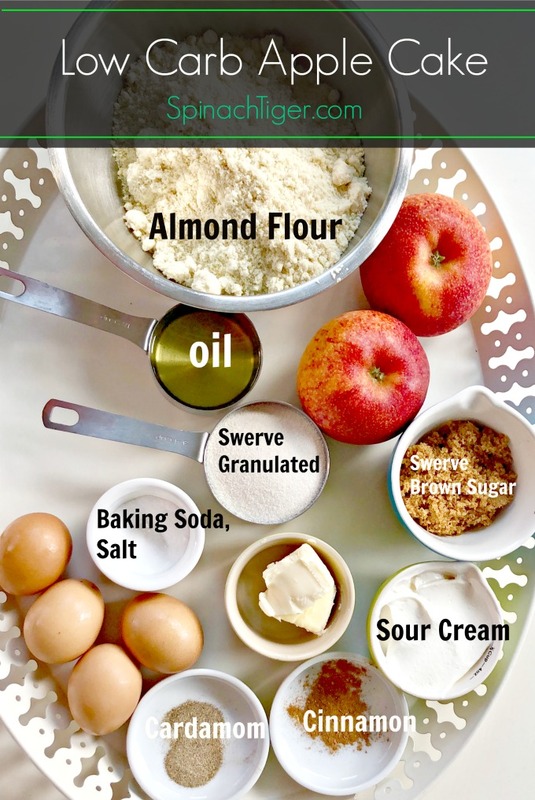 This mixture can stick to your sauce pan, so as soon as it’s ready, pour into your prepared cake pan and immediately put in your sliced apples. Cake is good at room temperature, loosely covered, or in refrigerator. Cake can be frozen, defrosted at room temperature or microwaved. I like to freeze individual slices. This Recipe contains Amazon Links which earn a small commission. Peel and slice apples thinly. Place in bowl with lemon juice and teaspoon cinnamon, tablespoon swerve. Heat butter and brown sugar until melted. Add in heavy cream. Stir. Add apples, placing in concentric circle. Beat eggs in mixer with ¾ cups granulated Swerve. Beat for five minutes. In separate bowl, mix almond flour, baking soda, salt, cardamom, nutmeg. Add dry ingredients and sour cream, oil, and stevia glycerite to egg mixture. Mix well on low. Add cake batter to cake pan. Smooth out top. Bake in lower rack of the oven for one hour. Put tin foil over cake at 30 minutes, as almond flour burns easily. Allow to cool completely before removing cake. 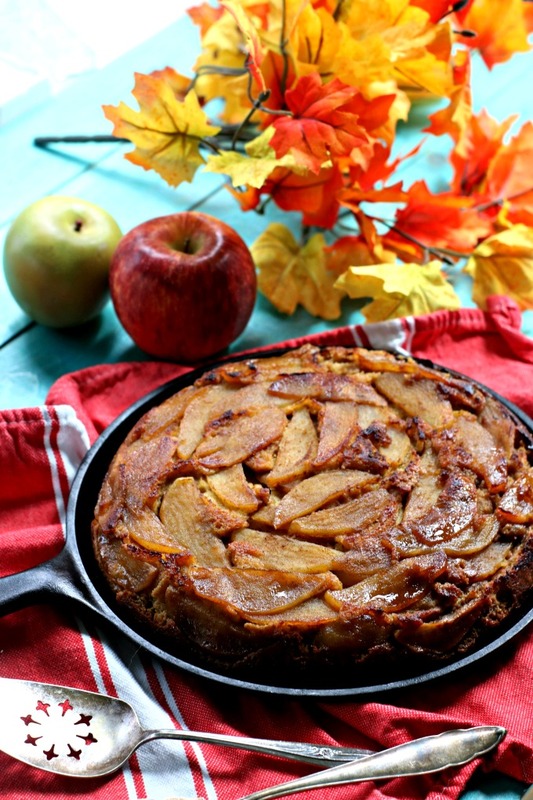 Using a flat plate, turn over so that apples are the top of the cake. Cake can be kept in refrigerator up to one week, can be frozen. An option is to place cake under broiler for 4 minutes or so to brown after turning over. Cake should turn over easily once cooled. I am getting ready to make this delicious looking cake and I am just wondering…..Does this cake REALLY bake for an hour and 20 minutes??? Seems like a really long time. Hi No It’s 50 to 60 minutes. You put foil over it at 30 minutes. Then bake another 20 to 30 minutes. The recipe says baking soda twice. Is it 2 tsp soda or 1 tsp soda, or 1 tsp soda and 1 tsp baking powder? Thank you! Delicious! It fit a 12″ cast iron pan. Very flavorful. Husband loved it! Yay, Susan, I love to hear this.